The BASE, an urban youth mentoring nonprofit based in Roxbury, will expand to Chicago with the help of a $150,000 grant from Foundation To Be Named Later co-founders Paul and Theo Epstein. 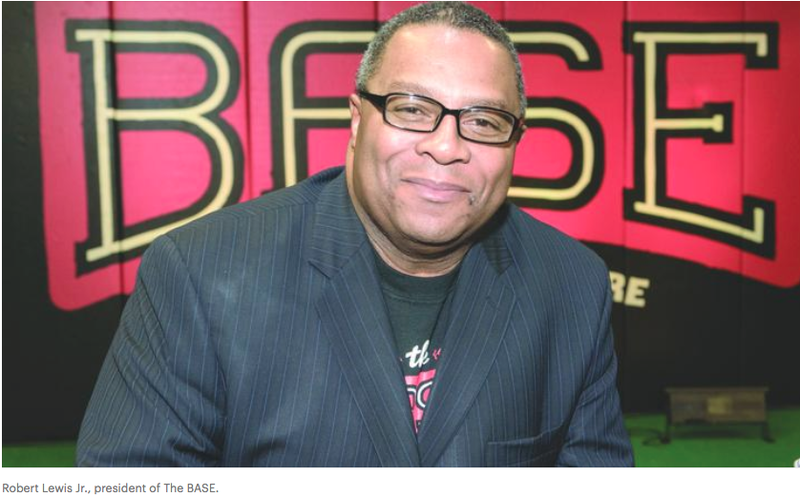 The BASE Chicago will adopt about 400 kids from the Garfield Park league, according to the Chicago Tribune, as Lewis and his staff work to raise about $3 million from donors to fund the BASE for three years. The Boston nonprofit works to empower urban youth through academics, mentoring and baseball. A ceremony was held yesterday at Wrigley Field. In addition to the $150,000 grant from the Foundation To Be Named Later, Good Sports announced a $50,000 equipment donation to The BASE Chicago after officials were able to determine immediate equipment needs for 2018. Our group won a 2017 Neighborhood Grant from Citizens Committee for New York City! We join nearly 300 grassroots groups across the city working to build community and improve our neighborhoods. Follow this link to learn more about the Citizens Committee for New York City. To learn more about our past Citizens Committee for New York City grants, click here. For photos of our Founder & Art Program Director, Antony Posada accepting the award, check out our Instagram feed.